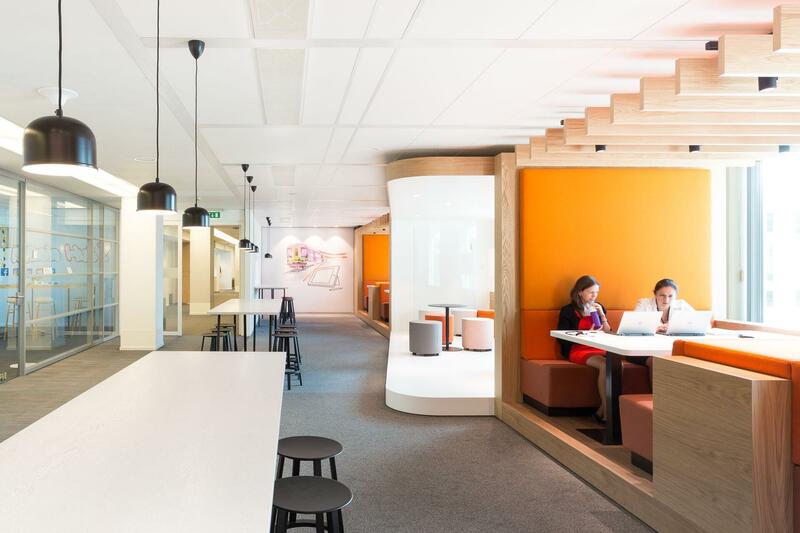 Insurance and asset management company Nationale Nederlanden aims to make financial services more personalised and relevant for its customers. The first step to achieving this is a good and inspirational workplace. The NN way of working provides support in working individually and collaboratively, creating solutions, receiving guests, meeting colleagues, celebrating successes and gaining full enjoyment from work. 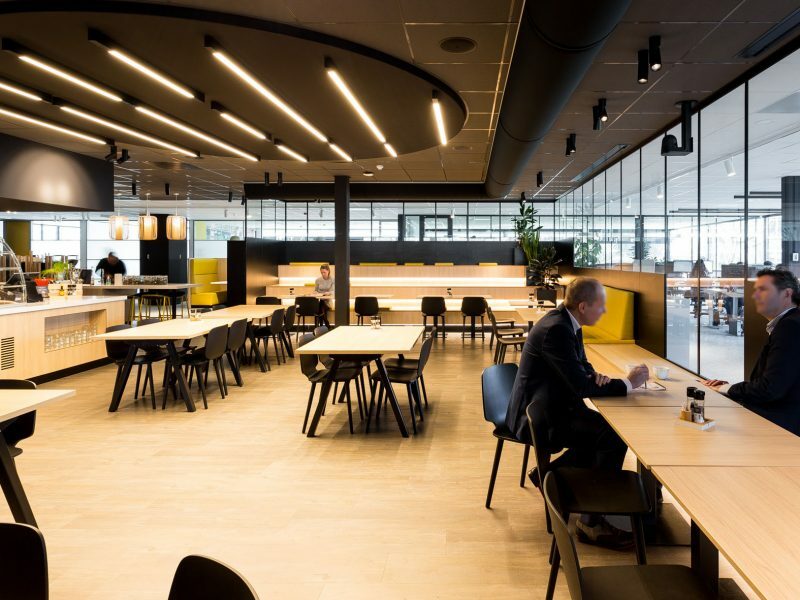 ZENBER Architecten designed the complete interior for various divisions and departments in the NN Group. 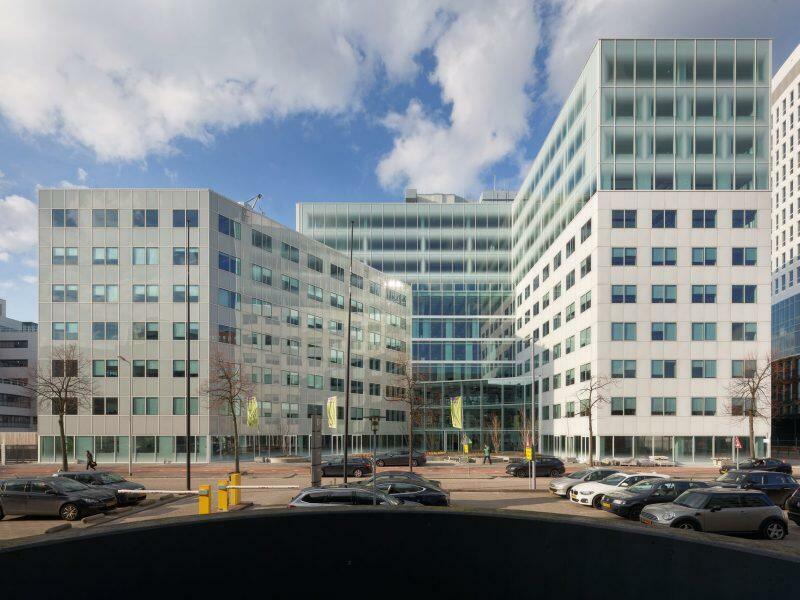 ZENBER was approached for the Delftse Poort location in Rotterdam and the Haagse Poort in The Hague. 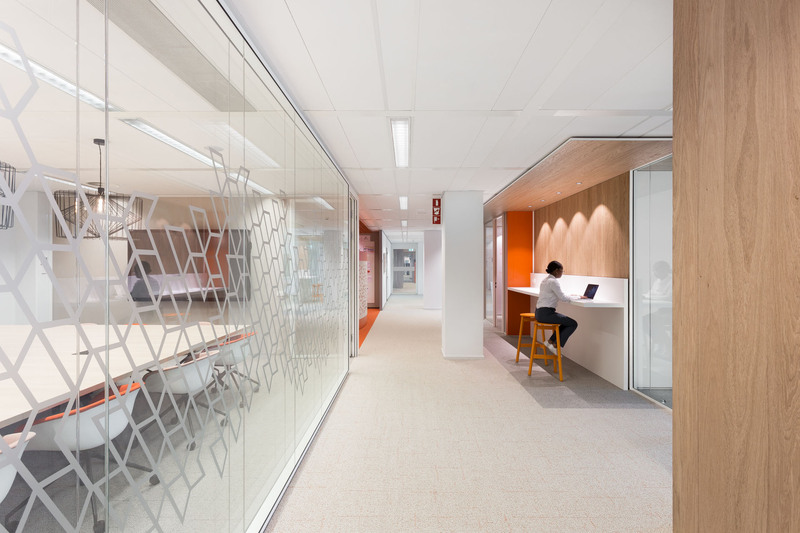 The innovative working environment is based on an activity-related workplace concept. 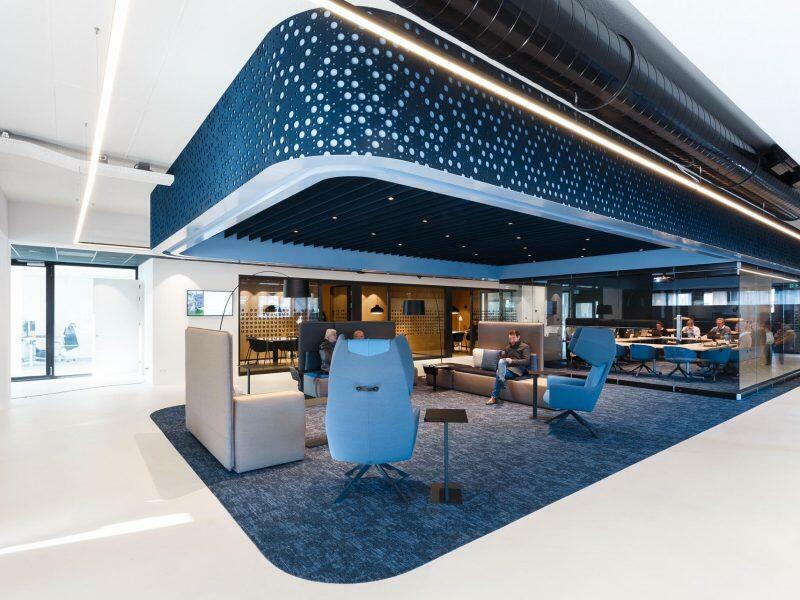 This, combined with the agile approach to work, calls for a high level of diversity and variety in the type of workspaces. 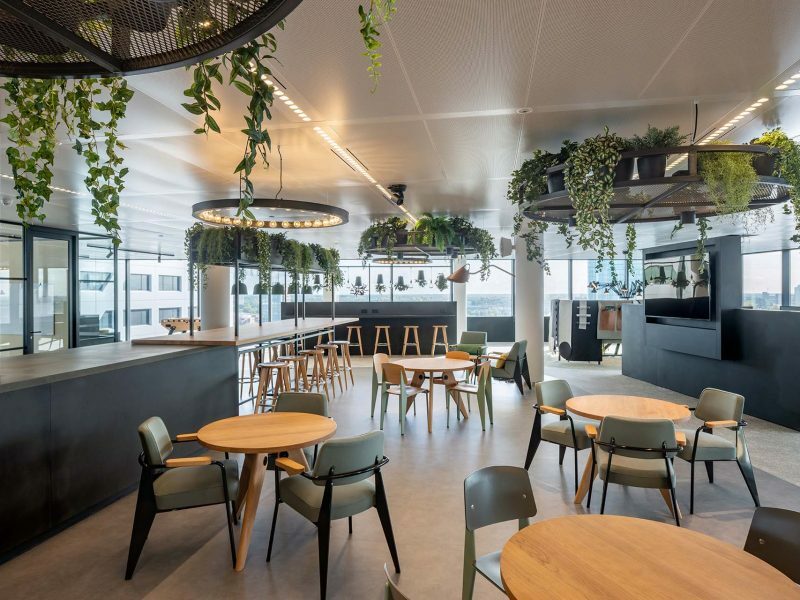 In addition to facilitating these work flows, ZENBER also designed the company restaurant with roof terrace, reception areas, lounges, scrum rooms, brainstorming rooms, project areas and conference rooms. Stand-up rooms and areas with tiered seating are used for the morning kick-off, brief presentations, demonstrations and daily stand-up meetings. 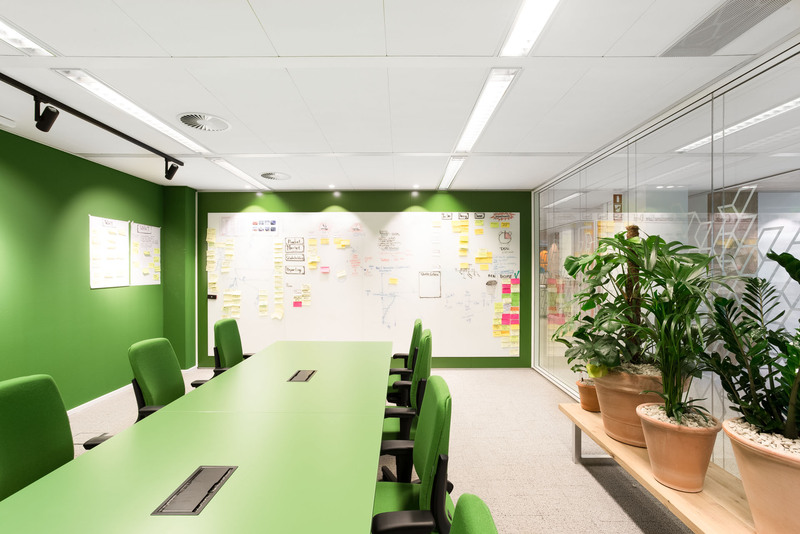 There are special rooms for brainstorming with whiteboards, scrum walls and LCD screens to support the sessions. The touchdown spaces feature large tables to enable a combination of individual work and collaboration. The calm zone provides places for concentration and focus. This open zone has excellent acoustics thanks to the fabric panelling on the walls, making it possible to concentrate on your work for longer. 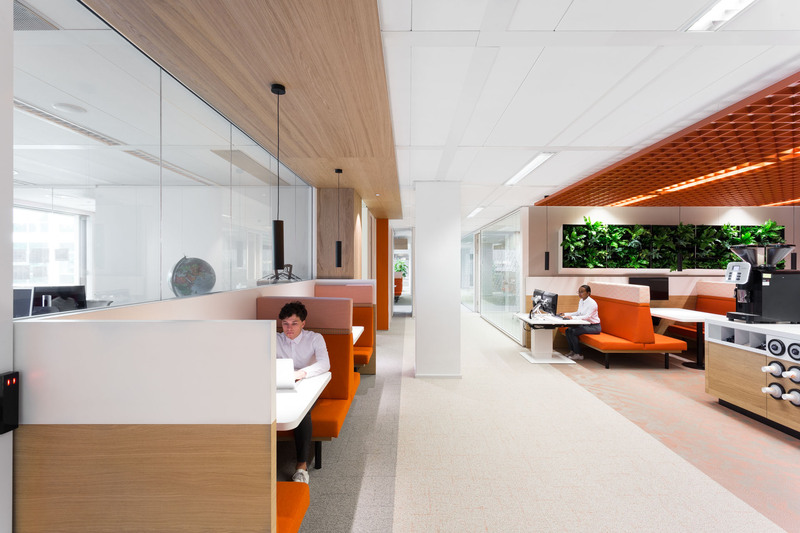 There has been a particular focus on the acoustics in the call centres, where acoustic screens have been placed between the desks. 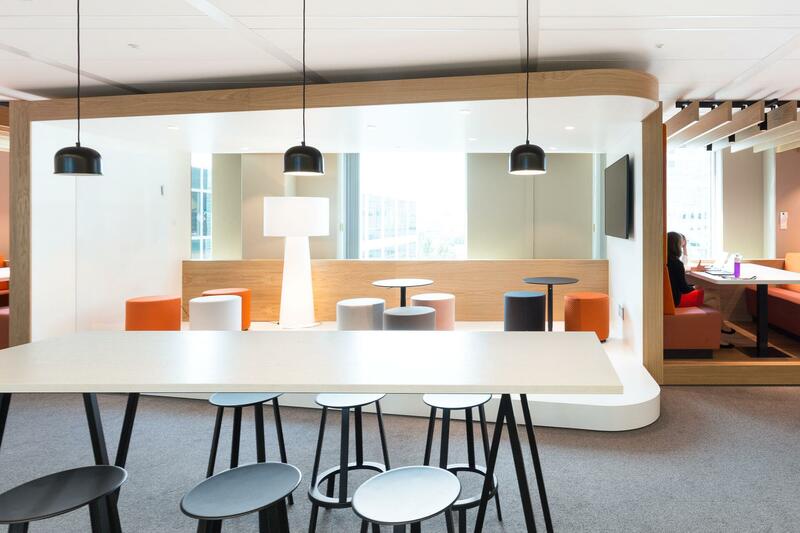 The coffee corners offer a first opportunity for meeting and collaboration. An attractive wooden table and quality coffee are the key ingredients in this space. Narrowcasting screens display the latest news. 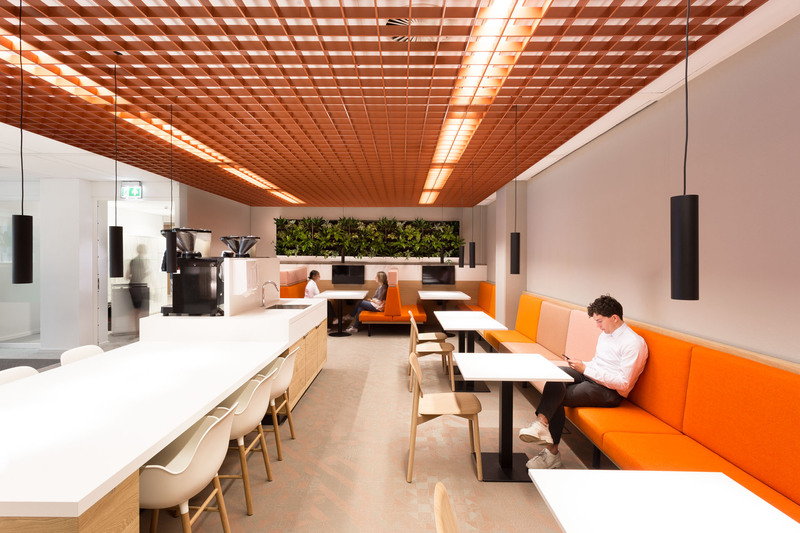 The coupé workstations are located close to the coffee corners and are perfectly suited for individual work, collaboration and brief meetings. They also always feature an integrated screen, making it easy to share the latest information with your colleagues. 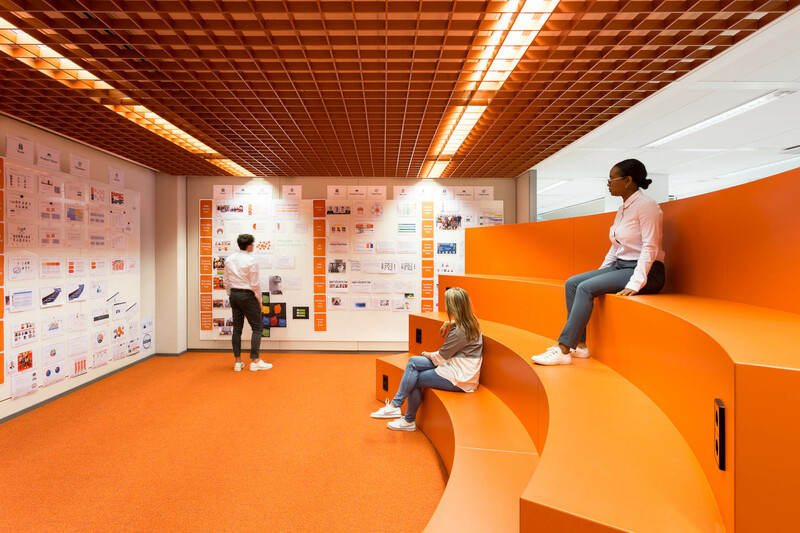 Sport and relaxation are just as important as work, which is why the Nationale Nederlanden offices also feature sport and relaxation rooms. The office wings are efficient and compact. Short walking routes and sight lines ensure the design is clear and easy to follow for staff. The workspaces have a view of plants and greenery in the large hanging indoor gardens. The furniture is circular and made from recyclable and sustainable materials.